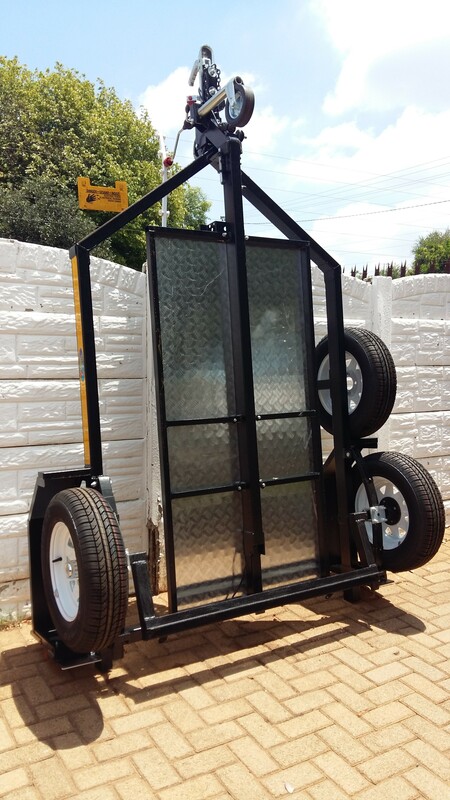 Our Easy Loader / fold away trailer is not just easy to load but folds up in seconds and can be stored in an upright position saving space and keeping the trailer in mint condition. The “Easy Loader” trailer will fold flat onto the ground to load or leave it hooked on the car and drop it to the floor. 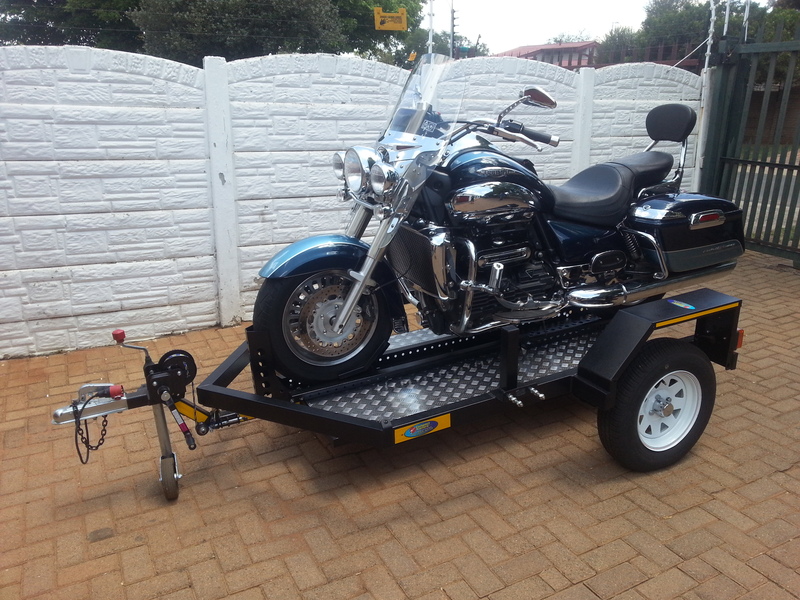 These trailers are designed with the bigger and heavier cruiser motorcycles in mind, but can be used for all types of motorcycles. 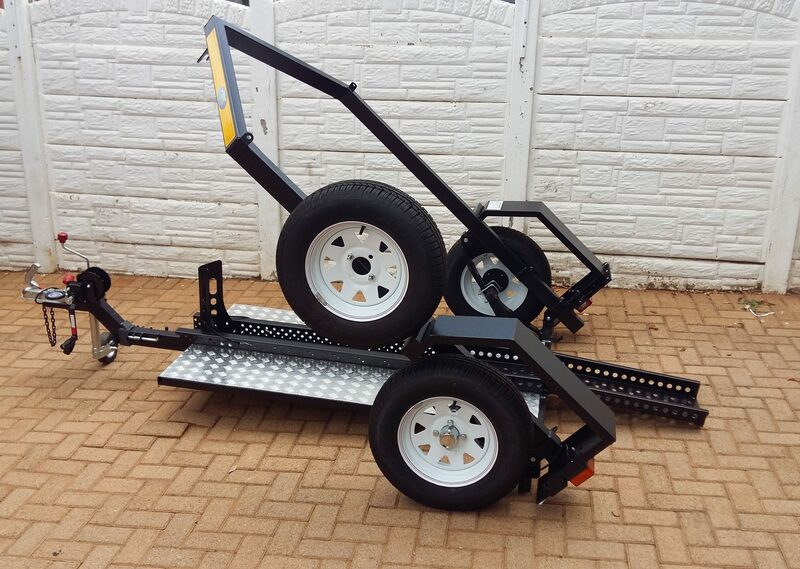 It has a leaf spring suspension with 13 inch wheels and runs in the track of the tow vehicle. 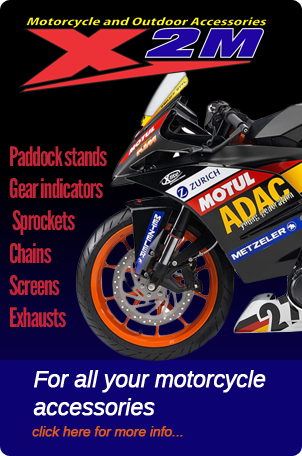 You can either push or ride the bike onto the loading channel, let go of the motorcycle once it is in the front wheel chock system, push the outer frame downwards or use the hand winch (for big heavy bikes). Tie your motorcycle down and you are ready to go (load in less than two minutes). Error: Error validating access token: Session has expired on Friday, 12-Oct-18 05:47:44 PDT. The current time is Friday, 19-Apr-19 09:56:22 PDT.